Over the years, we have used the herbal laxatives as slimming teas increasing waste disposal in the body, endangering the hydration of the body. Laxative infusions used for prolonged periods can significantly harm our health. All intestinal irritants cause cramping, diarrhea and other digestive problems level . To lose weight, we need a balanced diet, some exercise and then yes, have some supplements that help. -Increase the metabolic rate of the body, through the stimulation of important organs such as the liver and intestines. 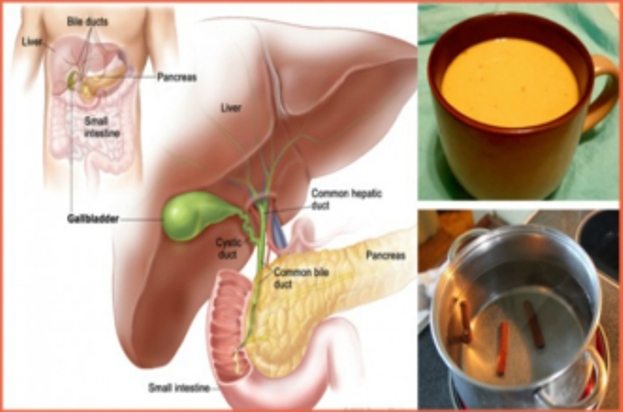 -They help remove excess liquid and detach debris stuck in the intestinal walls. -Stimulate digestion and proper absorption of nutrients ; At the same time they break down fatty acids and prevent inflammation. -They help control sugar levels in the blood. Today we tell you those herbs and spices that can be very supportive when it comes to losing weight through healthy infusions. Always remember to eat a balanced diet, with natural foods, free of pesticides and perform some aerobic exercise daily. Herbal teas are one of the friendliest ways to lose weight. Through them we take better advantage of the properties of the ingredients, they are tasty and contribute liquid to the body. Keep in mind that you can sweeten all your infusions to lose weight with a little honey or stevia. Both herbs are very common and you can grow them yourself. Infusions help them increase metabolism by stimulating liver functions. In this way, the rate of fat burning is much higher than that of storage. Among all teas for weight loss , green tea is the most popular worldwide. This is due to the large percentage of antioxidants that owns, called catechins. Catechins decrease lipid absorption in the intestine. In turn, an amino acid present in tea called theanine stimulates the secretion of dopamine in the body. Dopamine helps the person feel more relaxed and happy . This helps to fight anxiety better, not to suffer during the diet and not to feel nervousness. You can add some slices of ginger to your green tea and transform it into an infusion to lose weight that strengthens your immune system. The infusion of cinnamon is excellent for regulating blood glucose levels . In addition to preventing diabetes, it helps to use body fat to produce energy, instead of storing more. It is also very good for decreasing appetite and anxiety. This species helps break down fatty acids, digest better and controlling blood cholesterol levels . The infusions diet with turmeric are the most recommended to control inflammation. Remember that in an inflamed body, infections and chronic diseases are more likely to appear. You can season your foods with turmeric or consume it in natural capsules. An optimal recipe to lose weight, take care of health and avoid inflammation is as follows: Wash very well and cut half orange (with peel) in medium cubes. Put them in a saucepan, along with two cups of water. Bring to a gentle heat and add 1/2 tablespoon fresh grated turmeric, 1/2 tablespoon fresh root of grated ginger, a sprig of cinnamon and a pinch of sea salt. When it boils, quench the heat, let it stand until it harden, strain and drink. Eat one cup before lunch and another before dinner. Although considered a bad herb, Dandelion contains many properties. It grows in any garden and you can make your tea to lose weight with it. It stimulates the production of bile, is diuretic, improves digestion and helps eliminate toxins . It contains potassium, iron, silicon, magnesium, zinc, vitamin A, D, C and complex B. It is an effective remedy against constipation, joint inflammation and urinary infections. You can chop the root and add it in your salads. You can cook your leaves with salt, olive oil and pepper. Or you can prepare an infusion. If we talk about herbal teas for weight loss , it is inevitable to add to the list Ginseng. It has been found that this herb helps calorie burning as it provides a lot of energy to the body . It is recommended for a healthy weight, to control diabetes and to achieve a more active lifestyle. Ginseng prevents cells accumulate more fat , promoting the use of stored fat for energy. It is also an effective treatment against stress and nervousness. You can prepare your infusions with root, leaves or Ginseng powder. Milk thistle is a great liver protector that helps regulate liver functions. The seeds possess very soft laxative properties that function as a natural anti-inflammatory.